Thank you for your interest in our products! We do offer a trial-size bundle of product samples so you can try before you buy full-sized products. Our More Is More Bundle includes two (2) 0.5 samples EACH of Gentle Shampoo, Daily Conditioner, Leave-In Conditioner, and Curly Hair Custard (8 samples total). You can purchase this bundle from our website (see link below). Make sure you use code TRIALSHIP to receive FREE shipping (this coupon only works for the trial-sized bundle). 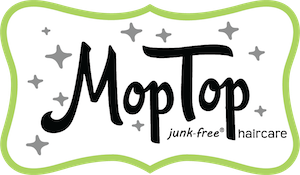 Again, thanks for your interest in MopTop products - have a great day!